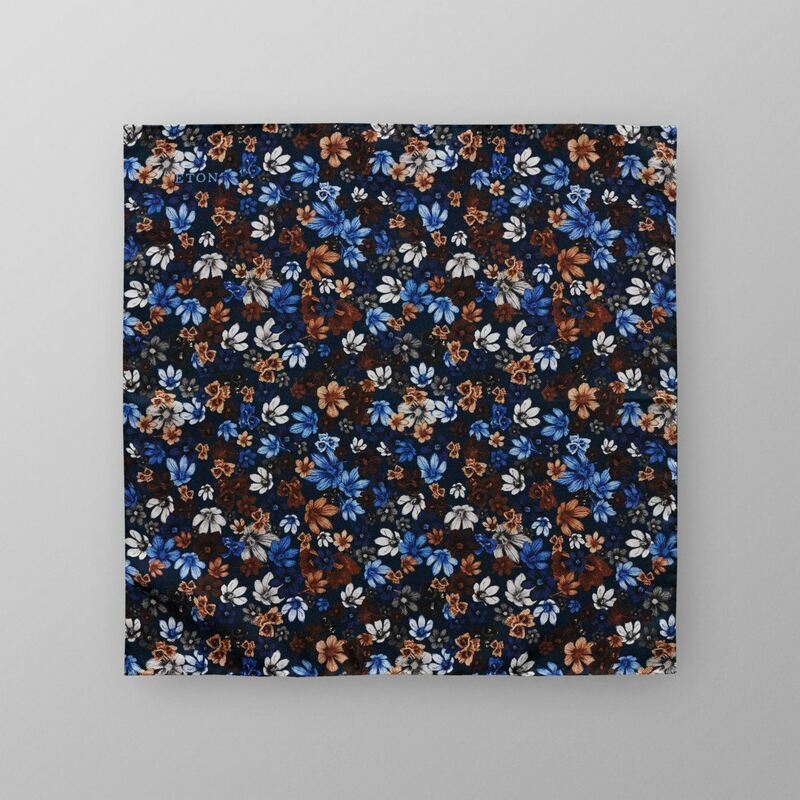 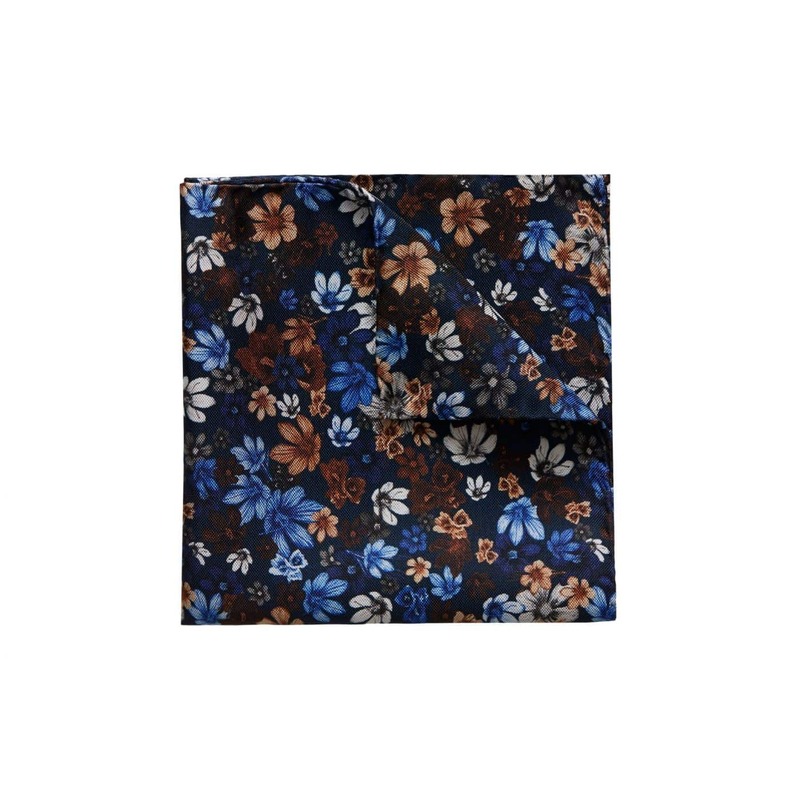 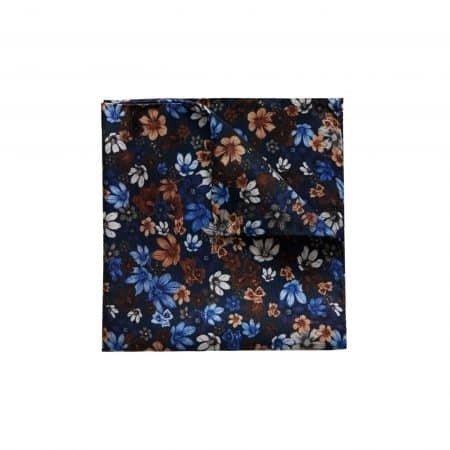 Vibrating pocket square printed with a bold flower design. 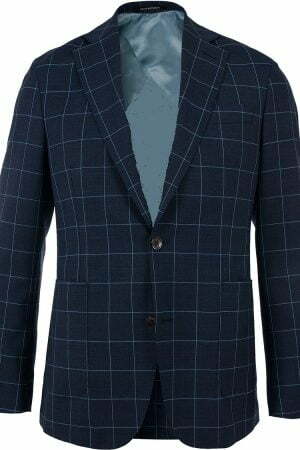 The classic pattern and the timeless colours make it work over time and are a must have in every wardrobe. 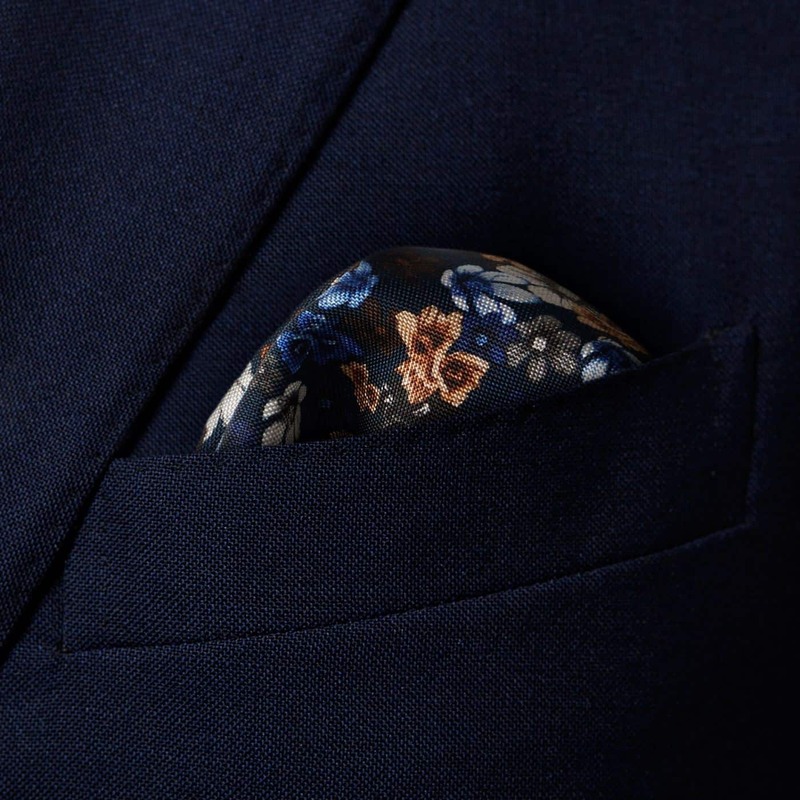 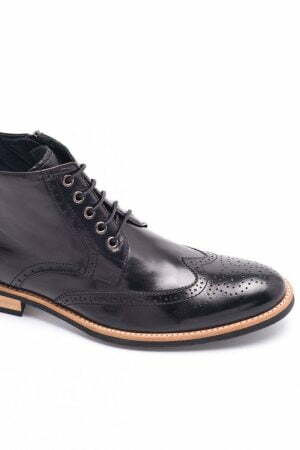 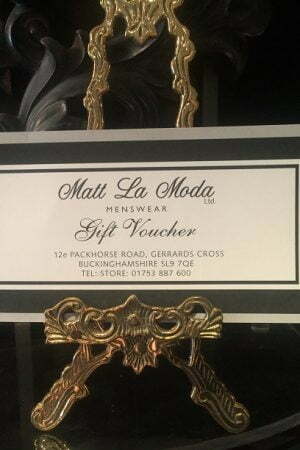 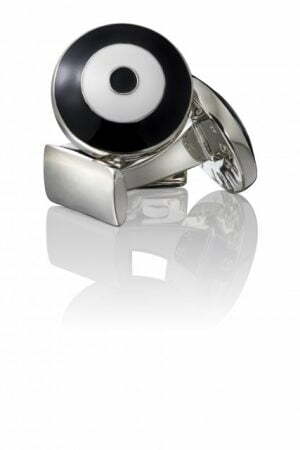 We recommend wearing it with a plain shirt, our grenadine tie and a navy suit jacket for a contemporary business look. 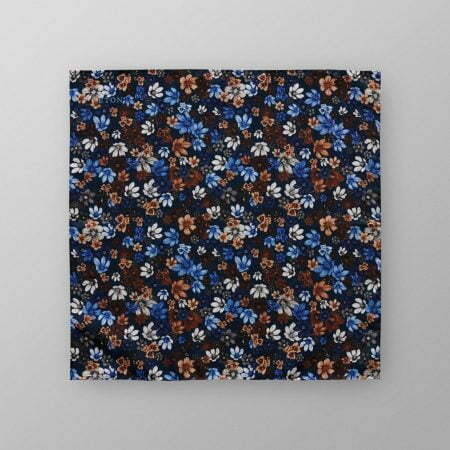 -Size 33×33 cm / 13×13″.